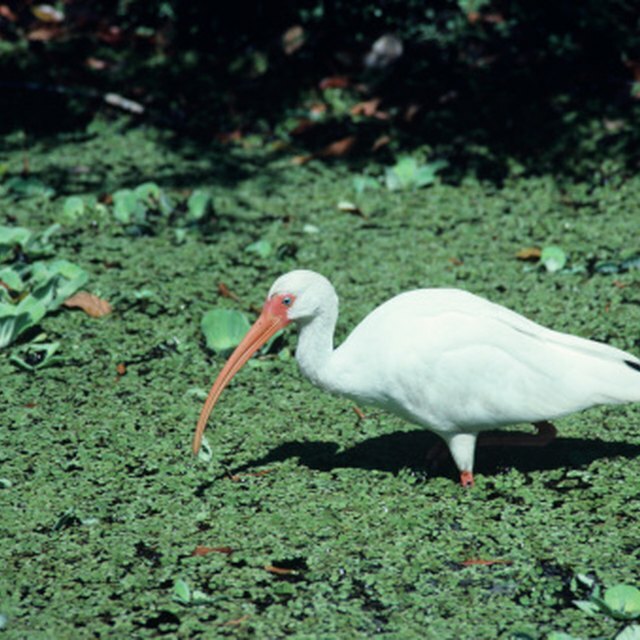 North Carolina provides a wide range of wildlife habitats, including the Blue Ridge Mountains in the western part of the state, the coastal plains and the eastern Atlantic coastline. The “Tarheel State” has warm temperatures for much of the year, so most of North Carolina's native species do not leave for migratory reasons. 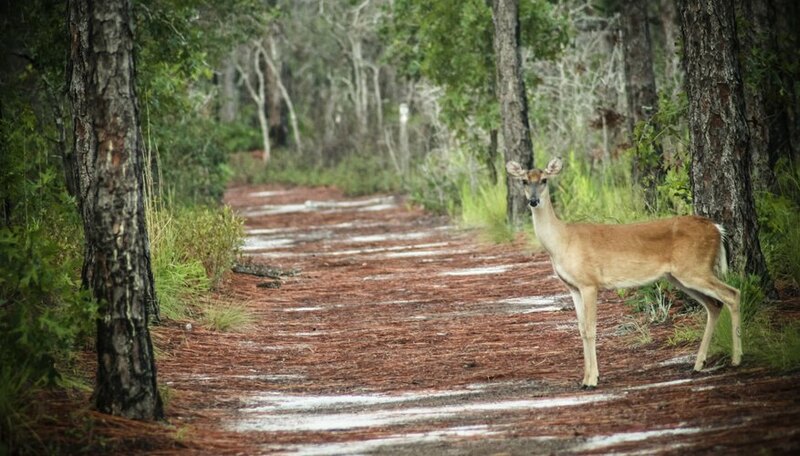 Some of North Carolina's state and national parks offer guided tours to help visitors spot the state's native wildlife species. Included here is a sampling of native North Carolina animals. The Carolina wren, or Thryothorus ludovicianus, is native throughout the southeastern United States, including North Carolina. This bird has reddish-brown feathers on its crown and back, while its underside has a light brown color. When fully mature, Carolina wrens in North Carolina do not migrate due to the states warm temperatures year-round. These birds are songbirds, which have musical calls when they chirp. 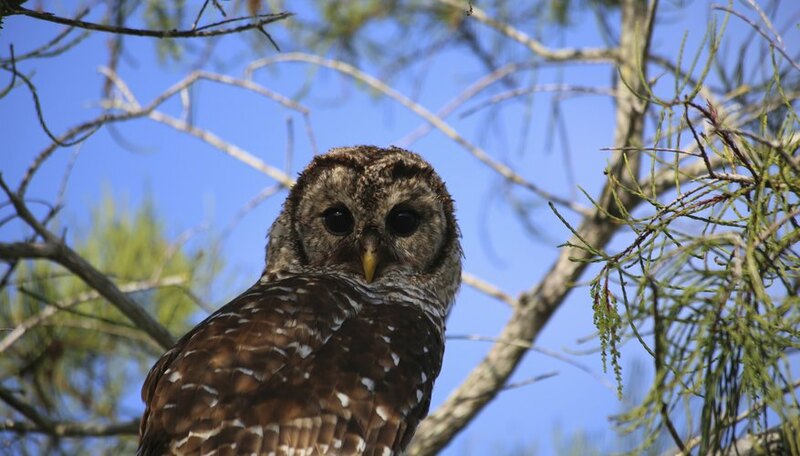 Due to their loud “hoot” calls, barred owls, or Strix varia American, are often referred to as “hoot owls.” Adult barred owls have a wingspan of approximately 4 feet. When they attack their prey, these owls descend silently in a swooping motion. Their prey consists of rodents, including mice, squirrels and baby rabbits. The Indiana bat, or Myotis sodalis, is a flying mammal native to North Carolina and other states on the Eastern Seaboard. As of March 2011, this mammalian species is endangered in North Carolina. Indiana bats are found in cave formations in the state's Blue Ridge Mountains. During the winter months, these animals undergo a hibernation period. 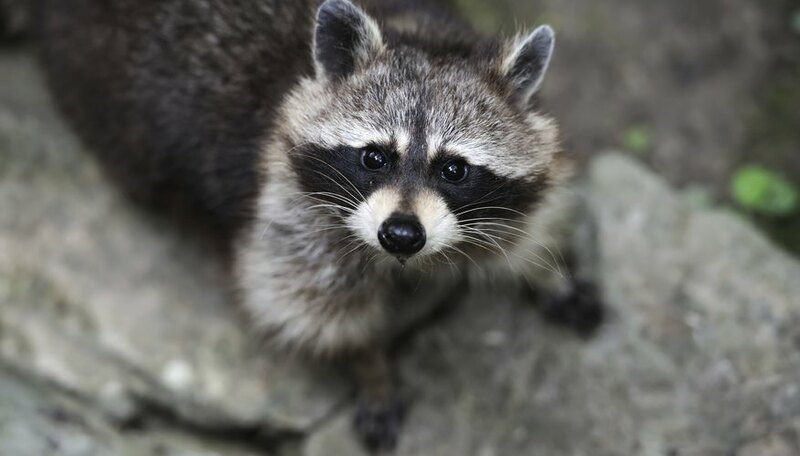 Found in eastern North Carolina, the raccoon, or Procyon lotor, is a medium-sized mammal with grayish fur on its body and a black-ringed tail. The approximate weight of an adult raccoon is 20 lbs. The primary habitat for raccoons are riparian areas and wetlands. The Eastern diamondback rattlesnake, or Crotalus adamanteus, is in North Carolina's coastal plains, in the southern region of the state. 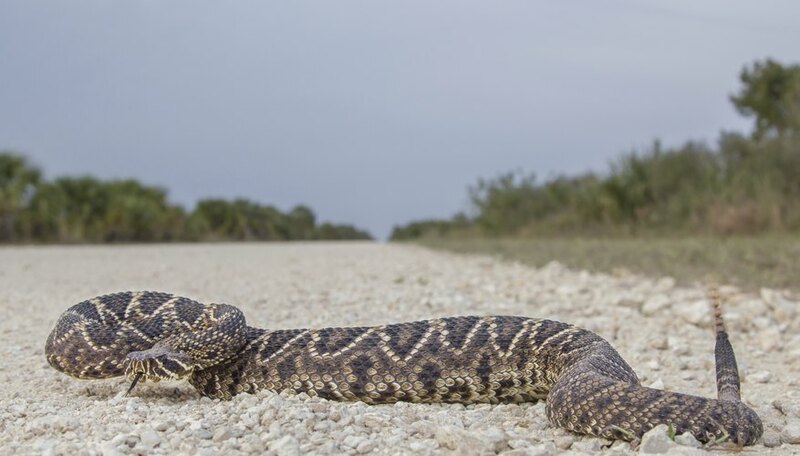 These snakes are venomous; when threatened, Eastern diamondback rattlesnakes will shake the rattle on their tail as a warning. This carnivorous reptile preys on rabbits and rats. The average length of an adult is 4 to 5 feet. The coastal plains of North Carolina is also home to the mimic glass lizard. This legless reptilian specimen resembles a snake, except it is able move its eyelids and has external ear openings. If the mimic glass lizard is trapped by another animal, it is able to break off its tail to escape; the tail will regenerate. The chain pickerel, or Esox niger, is more commonly known as “jack” among North Carolina's fishermen. This freshwater fish species is generally found in rivers and lakes in the eastern region of the state. Most the chain pickerel's scales are dark green and bronze, but its underbelly has white scales; a black bar is underneath its eyes. Adult specimens grow up to 20 inches in length. North Carolina's bluefin tuna, Thunnus thynnus, appears near the state's Cape Hatteras area. 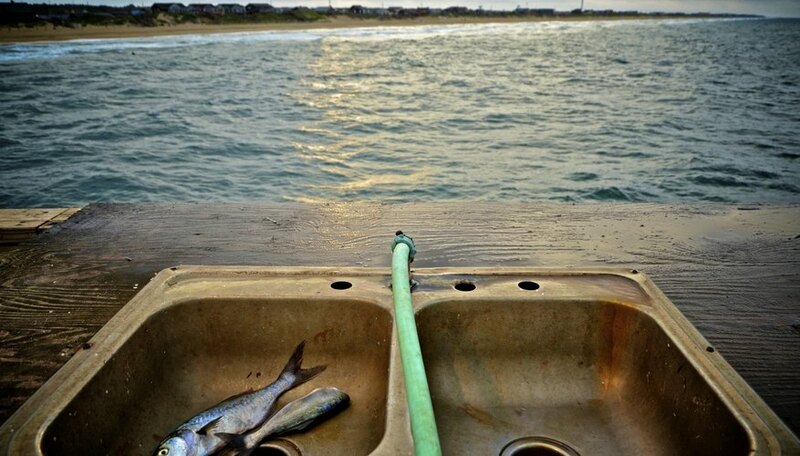 This saltwater fish has a high population in Cape Hatteras during the winter, which has created a surge in fishing activity in this region. Bluefin tunas have shiny blue scales and grow between 10 to 15 feet when they mature. Davis, Skip. "Animals Native to the State of North Carolina." Sciencing, https://sciencing.com/animals-native-state-north-carolina-8017320.html. 24 April 2017.